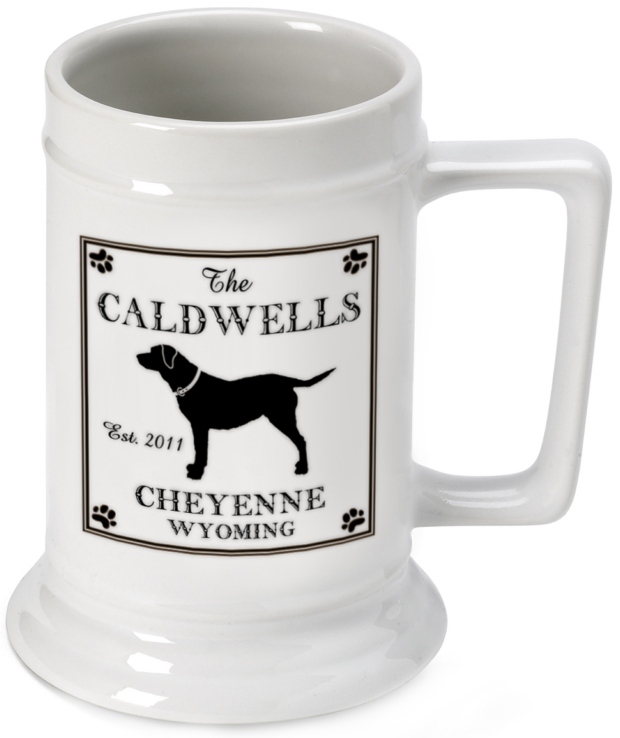 * The outdoor lover will enjoy their favorite lager, ale or light beer year round with our Cabin Series Beer Stein. 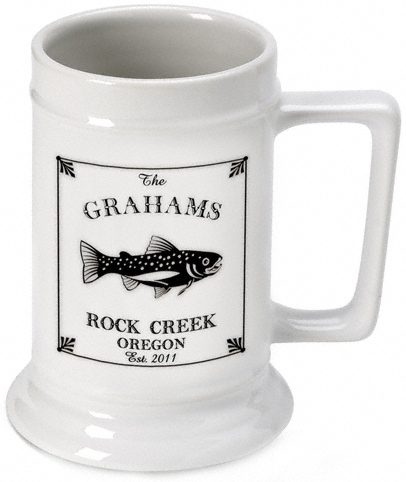 * The steins are perfect to use at the cottage or at home all year round. 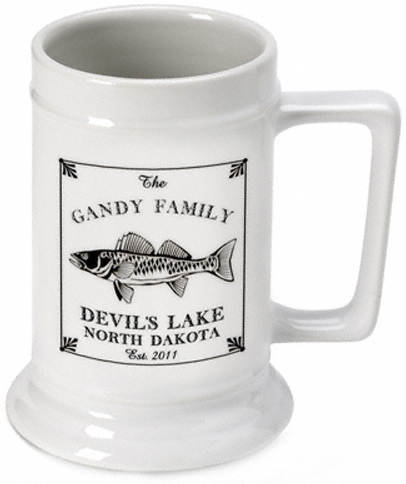 * Each personalized white ceramic mug holds 16 ounces of their favorite beverage. 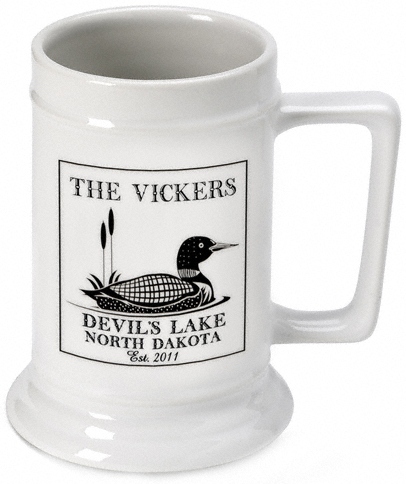 * Specify design (see images below), name, location and year. * Enter name punctuation as desired. 5.5" x 5" x 3"